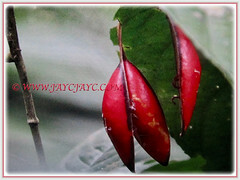 Large-leafed Adenia or Singapore Adenia is a beautiful vine with simple, ornamental and shiny red fruits. A monoecious plant that produces very attractive flowers that are yellow and tubular. 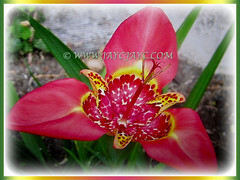 It is very popular as an ornamental plant among lovers of interesting flowers. Its large flared-flowers are vividly coloured and come in two-tone combinations pairing white, pink, red, orchid yellow or orange with contrasting spots. 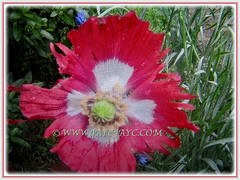 Opium Poppy or Breadseed Poppy produces unique and gorgeous flowers that come in a wide variety of colours. Its seeds can be dry roasted and ground to be used for treating asthma, stomach illnesses and bad eyesight. The seeds are processed by the pharmaceutical industry into drugs such as codeine and morphine. 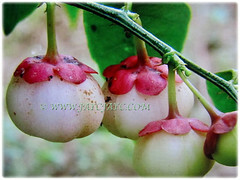 Star Gooseberry or Sweet Leaf Bush is one of the most popular leaf vegetables in Southeast Asia. In Indonesia, the leaves of the plant are used to make infusion, believed to improve the flow of breast milk for breastfeeding mothers. 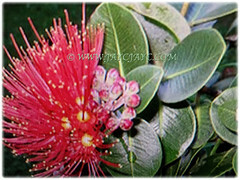 Consumption of Sauropus androgynus has been reported as being associated with bronchiolitis obliterans..